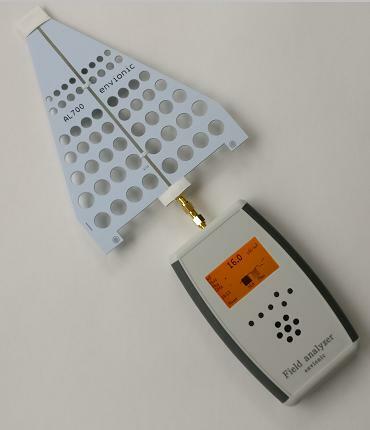 The field analyzers are measurement devices to measure the radiation present in our home and professional environment. The measurement of the strength of low frequency electric and magnetic fields as well as high frequency electromagnetic fields is possible. The field analysers provide an easy way for everyone, also the scientifically uneducated, to literally 'see' the radiation in numbers. Based on the values measured further action can be considered. All devices measure RF signals up to 6 GHz and can measure the frequency of these signals. Some of these devices have a datalogger that stores all measurements, together with the current time and date, on a micro-SD memory card. On these datalogger models, the internal software can be upgraded by placing the new software on the memory card. Most models can also measure low-frequency electric and magnetic fields. The model FA845 has an internal spectrum analyzer, that has a sensitivity that is much higher than the sensitivity of a broadband meter (like the FA735). The strength of the field emitted by the measured source is displayed on a clear LCD display. A built-in speaker makes high and low frequency electromagnetic fields audible and easy detectable. The 'peak hold' function is available on all models, as well as an AC signal output and a connector for a battery charger. To order a product, please send us an email, including your address details. We will check the availability of the product and send you our bank account number. We also accept PayPal payments. After receiving the payment, your product will be sent. Technical Support: In case of technical questions regarding the device you purchased please send us an email quoting the issue and including your contact details. Please add € 12,00 for insured shipping to European countries. Please add € 22,00 for insured shipping worldwide. These sales conditions are currently only available in Dutch. They are the same as the conditions that are advised by the dutch chamber of commerce. This device has a big RF frequency range of 300 MHz up to 6 GHz (when a suitable antenna is used). For the RF field, not only the strength, but also its frequency can be measured (see manual). The graphic LCD screen shows the strength of the RF field. For pulsed signals, it shows the strength at the moment of the pulse. The display also shows the strength of the signal as a function of frequency in a graph. It can also show the pulses of pulsed RF radiation on the screen, and you can listen to these pulses through the built-in speaker. The delivery includes a LogPer antenna (for 700 to 6000 MHz) and batteries (see manual). This device has all functions of the FA720, with a data logging function added. After every 10 second time interval, the maximum measured value in this interval is determined, and the result is written to a micro-SD memory card. The current time and date are written together with these measurements. The recorded data can be viewed on the device itself, or on your PC (as an Excel spreadsheet). The delivery includes a LogPer antenna (for 700 to 6000 MHz) and batteries (see manual). For the datalogging function, the memory card and a card reader (to connect the memory card to the PC) are included. This device has all functions of the FA720, but it can also measure low frequency electric and magnetic fields. The low frequency fields are also audible on the speaker, and their waveform is visible on the screen. This device includes all functions of the FA720, FA725 (datalogger) and FA730 (low frequency electric and magnetic field measurement). This model can also measure low frequency (electric and magnetic) fields. The low frequency fields are also audible on the speaker, and their waveform is visible on the screen. It also contains a datalogger function. The data logging function writes the measurement results to a micro-SD memory card every 10 seconds. It writes the current time and date together with these measurements. The recorded data can be viewed on the device itself, or on your PC (as an Excel spreadsheet). The delivery includes a LogPer antenna (for 700 to 6000 MHz) and batteries (see manual). For the datalogging, the memory card and a card reader (to connect the memory card to the PC) are included. The FA735 is delivered in a protective carrying case. This new device has all the functions of the FA735, but also has a new feature, a spectrum analyzer. The spectrum analyzer can be tuned to any frequency from 10 MHz up to 3.7 GHz. The sensitivity is much, much better than the wideband sensitivity of the FA735 (But the new device still has the wideband RF mode that the FA735 has). The spectrum analyzer is slower than wideband, however, because it has to scan the frequency range, and in one second it can for instance measure 100 different frequencies (while the wideband mode measures all frequencies at the same time). With the new software version V2.3, the spectrum analyzer can also measure pulsed signals. The frequency range and bandwidth can be selected, and pre-set settings are available for the frequency bands of interest. You can also program your own settings. The results of the scans are logged on the memory card. The FA845 looks the same as the FA735. The delivery includes a LogPer antenna (for 700 to 6000 Mhz), protective carrying case, batteries, memory card and a card reader. This antenna has a remarkable frequency range from 700 MHz up to 6 GHz. It is direction sensitive, so it will give you the possibility to decide from which direction a signal comes. In the spring of 2017, the European commission has recommended the 700-800 MHz range to be used for 5G (Fifth generation mobile). This made us decide to design an antenna that includes this 700-800 MHz range. The antennas of most other manufacturers start at 800 MHz, so they can not measure this new frequency range. 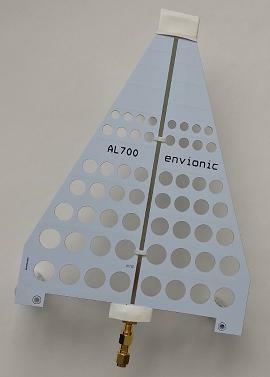 This antenna is included in the delivery of all F720, FA725, FA730, FA735 and FA845 devices. 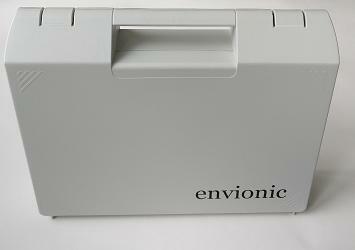 The carrying case is perfect for storage or transportation of your instrument. Your device is protected by the foam interior. The foam has laser-cut openings that are a perfect fit for your instrument and its accessories. This case is included in the delivery of FA735 and FA845 devices. 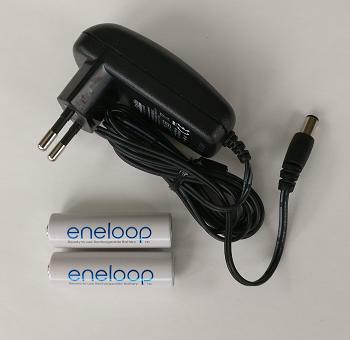 A pair of high-quality NiMH rechargeable batteries and a suitable charging device (that connects to your instrument). The batteries can stay in the instrument during charging. Available for several countries. Suitable for all F720, FA725, FA730, FA735 and FA845 devices. Omni-directional antennas are available for several frequency bands. They can be used for long-term measurements when it is not clear from which direction a signal will come. The measured level with the ANT-800 and ANT-2400 antennas will be lower than measured with the AL700 antenna. The antenna is normally used in vertical direction. 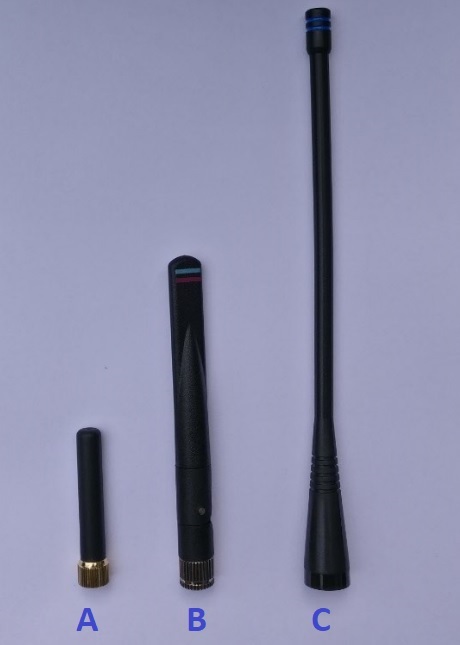 The GSM antenna covers all GSM bands, and UMTS. The WLAN antenna covers both the 2.4 GHz and 5 GHz bands. These antennas have an SMA connector and are suitable for all F720, FA725, FA730, FA735 and FA845 devices.